Photo: Old Town Salzburg across the Salzach river by Jiuguang Wang. The City of Salzburg is located on the banks of the Salzach River, at the northern boundary of the Alps. In December 2011 the city won the EU Access City Award for 2012. The Access City Award is given to the European city over 50,000 inhabitants which, in the judges opinion, has made the greatest contribution to achieving accessible to people with disabilities. The prize honours efforts to improve accessibility in the urban environment, services, transport and information and communication technologies, in order to foster the equal participation of people with disabilities. The European Commission commended Salzburg's excellent results in improving accessibility, achieved with the direct participation of people with disabilities. 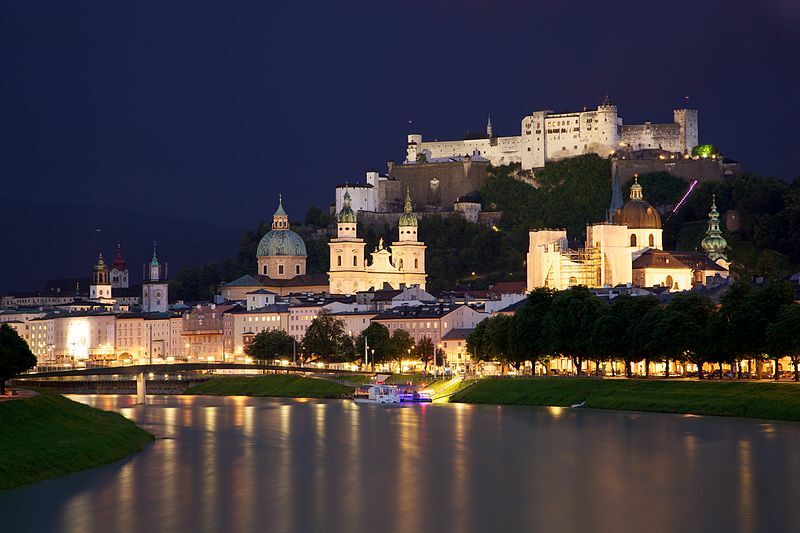 In recognition of its outstanding cultural attributes, Salzburg was included in the UNESCO World Heritage list in 1997. The city, known as the birthplace of Mozart, contains many examples of Baroque architecture, museums, festivals and sports events.